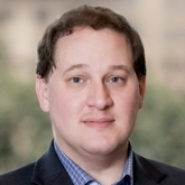 Principal Eric Klein (Washington, DC) was quoted in a June 10 article in Bloomberg BNA titled "Companies Turn to FOIA to Challenge EPA Cleanups." The article discusses increased use of the Freedom of Information Act as a way of challenging EPA cleanup decisions early on. Because the Superfund law requires that liable parties wait until cleanup is complete to challenge the agency's decision, Eric noted that FOIA can be used "to arm the parties in trying to shape the cleanup plan." However, FOIA actions can be expensive and may come with additional risks. “When you file a FOIA request, it will land on the desk of the person in the agency who may be the same person you're working with, who you otherwise need to get along with,” Eric said.